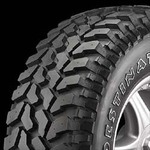 The Destination M/T was developed to meet the needs of pickup truck and sport utility vehicle drivers who desire the looks and performance associated with rugged, off-road driving. 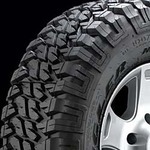 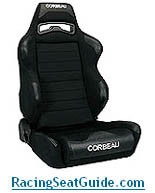 The Wrangler MT/R (Maximum Traction/Reinforced) was developed for light truck driving enthusiasts that want the off-road traction and toughness necessary to meet punishing off-road conditions. 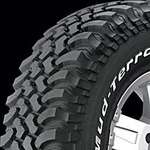 The Mud-Terrain T/A KM is a light truck tire designed for pickup truck and SUV driving enthusiasts looking for race-proven performance on slick surfaces, as well as in deep dirt and mud. 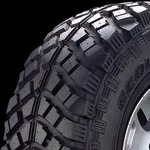 The Dunlop Radial Mud Rover is Dunlop's ultimate off-road tire featuring a super aggressive lug pattern that delivers maximum forward and side grip, with excellent self-cleaning capabilities. 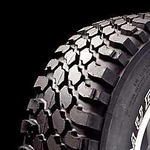 The Geolandar M/T+ was developed for the drivers of pickup trucks and sport utility vehicles that require extreme off-road traction on muddy trails and rocky terrain, as well as usability on paved highways.